Mornings can be pretty hectic. I get it. Especially if you have kids to get on the bus, a spouse to get out the door, and for some of you, a job to get to yourself. I hope these simple time-saving tips for smoother mornings will help you and your family stop the before school chaos so you can start your days off on the right foot. Learning shortcuts and time-saving hacks can be the difference between a stress-filled morning and a calm one. I learned a while ago that in order to combat morning chaos, I needed to get as much prep work done the night before as possible. I know this is nothing revolutionary, but sometimes it’s the simple tips, the simple time-saving tips that can make the biggest difference. Now, I don’t go as far as setting the table for breakfast the night before or having socks placed inside of shoes by the back door. But now that I think of it….those are some great tips! I do, however, like to have a few things ready to go in the morning so things run a little more smoothly for both myself and my family. My favorite time-saving tip happens on Sunday. When my boys were younger I had 5 lunches to get ready for every day. Packing those lunches took up quite a bit of time in the mornings and I needed to find a way to streamline that chore so it wasn’t so overwhelming to complete. I finally came up with the idea to prep as much as I could on Sunday for the entire week. 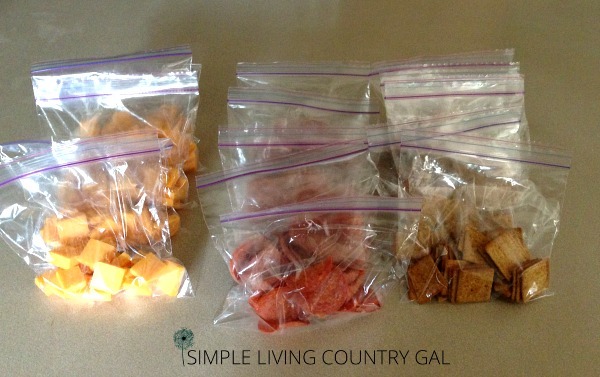 Each Sunday evening, I would get my lunch staples all ready to go for the entire week. I would package up enough items for the week and store them in a basket. In our family, my boys liked completely different snacks than Hubs did, so to keep things better organized I would have 2 separate baskets. One basket for the kid’s lunches and one basket for Hubs. I would use these baskets which I just love, are super cheap, incredibly durable, and ones I now have all over my house! I would fill each basket with enough snacks for each lunch to cover every single day of the week. Once filled I simply put it inside of the refrigerator up on a top shop shelf away from hungry hands. Each Sunday I would then grab my baskets, all of my snacks, baggies, and drinks. I would then line them up on on the counter, and assembly line all 5 days worth of drinks and snacks in just minutes. Yes, I still had to make the sandwiches each day, but just having those snacks and drinks done and ready made all the difference. To make things even easier, Hubs would keep all of his condiments at work for salads and veggies. When morning came all I needed to do was make the wraps or sandwiches for my kids. Then I would grab the remaining items from the basket, put it all into lunch bags and set them out for the boys to grab as they headed out for school. Now for Hubs, he likes a hot lunch so leftovers are usually what’s on the menu for him. To shortcut that I would simply make his leftover container as I was cleaning up from dinner. In the morning all I need to do is make his salad, grab his croutons from the basket and the remaining items for his lunch. This one tip literally cut my morning stress in half. 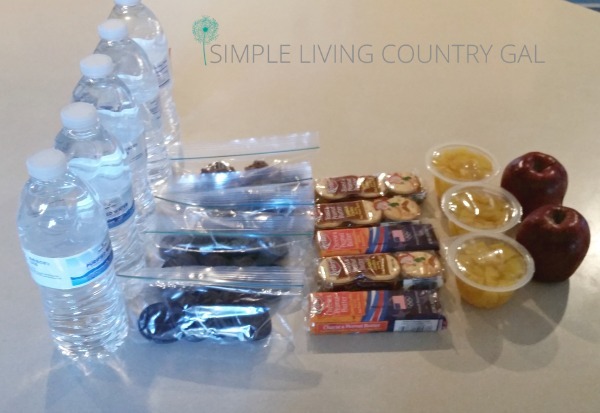 Not only that, if your kids pack their own lunches their basket will not only help them to get done quickly but you can ensure they do not pack a lunch of chips and cookies. The magic behind this super simple time-saving system is you can decide what exactly goes into their basket and have them make the choices from there. 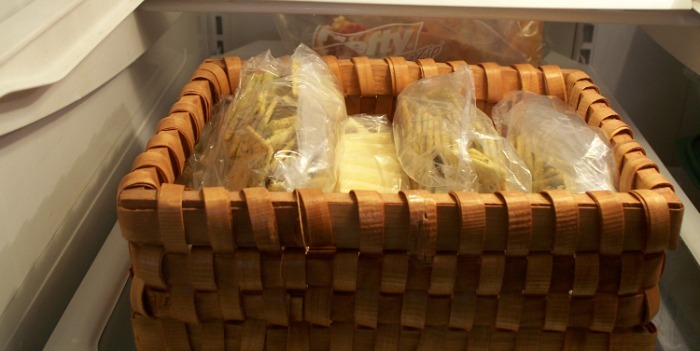 If your kids are good at listening, explain to them the lunch basket is off limits. If your kids are anything like mine you may need to find a good hiding spot to ensure you have enough items to get you through the entire week. My boys, especially my youngest had perfected the art of finding his basket and stealing the cookies or muffins. I finally had to put my foot down. If the basket was empty come Friday…so was their lunch that day at school. That stopped all snack thefts pretty quickly. Now, even though I adore Charlie I still hate to prep Charlie. Which for this coffee addict can be several times a day. Being the organizing freak that I am, I like to time tasks that I hate performing to see just how long they actually take. (insert eye roll here please) Usually, it’s just a fraction of what I believe it takes to do something. So, finding out that it only takes 2 minutes for me to prep my coffee maker makes that task a bit easier to do. I can usually find an extra 2 minutes before bed to make my coffee and even set out cups for Hubs and myself. Finding 2 extra minutes in the morning? Not quite as simple. Morning routines, oh how I love ’em! I have learned over the years that my best time-saving tip for a smoother morning all comes down to a routine. A plan that I have mapped out listing all the things I need to get to get done for me. This not only ensures that things run smoothly each morning, but also that nothing gets forgotten. I have my routines written out for both my mornings and my evenings and placed inside of protective sheets and posted where I will see them. How To Create The Perfect Morning Routine. There is nothing better than a bit of yoga, some quiet meditation, and a little self-care to get your mornings off to a calm and peaceful start before the madness begins. Have a family command center. Nothing can upset a day more than getting a call from school because your child forgot an important paper. Having a hub or a family command center will fix all of that. 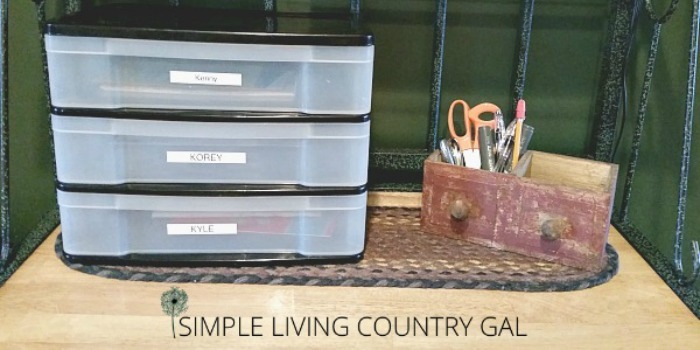 A command center is simply a central area in your home where everything is organized and housed for your entire family. Our family command center was first in a cabinet in the kitchen but I soon learned that out of site was also out of mind. We then moved our command center to a bakers rack right in the kitchen. Having it accessible to our boys no matter what their age really was a game changer. Each child had a drawer of their own where all papers were placed when they got home from school. I would go through the drawers each evening after dinner time. I would go through the contents completing any papers and return them back to their drawers. Each morning the boys knew to check their drawers for school papers, lunch money, notes, or permission slips before leaving the house. If you have very young children you may want to set the papers out right next to their lunches. Either way, the command center keeps those papers in the same place so they are never buried, misplaced, or accidentally tossed in the trash. Now that my boys are grown and moved out, you would think our family command center has been eliminated. But actually ,it has only been moved and improved. Even once your kids leave the nest, you will still have things for them to see. Bills, magazines, mementos, ETC. For that reason ,I have moved our family command center to our office. Now when our boys stop at home they will check their basket to make sure there is nothing in there they need to see. In our house, it is the little things that help us have smoother mornings. Sometimes just a little prep work can mean the difference between a good start and a stressed one. Not to mention a cup of coffee all ready to go when your feet hit the floor….ahhhhh. 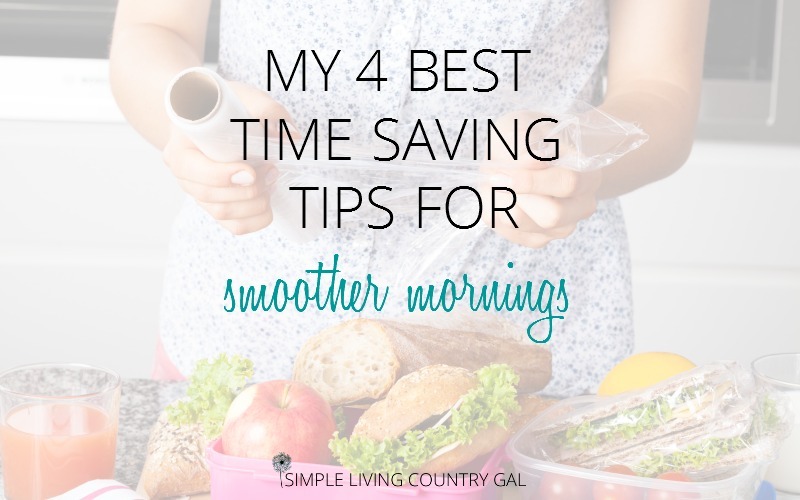 What time saving tips for smoother mornings do you have? I would love to hear about them in the comments below! 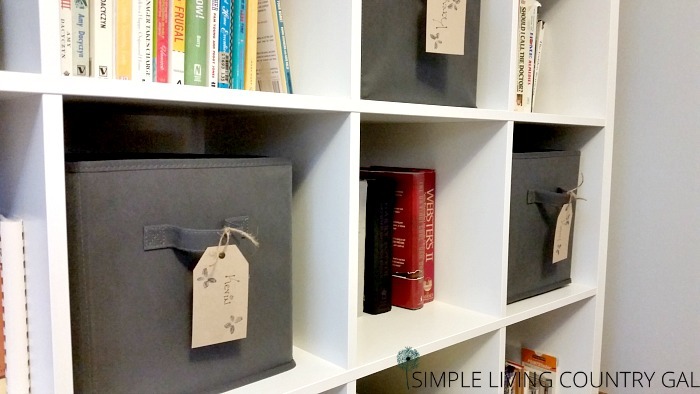 « 10 Best Frugal Living Tips. Save Money Like A Pro.